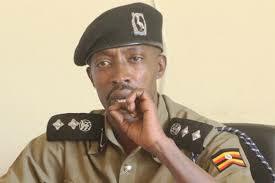 Kampala Metropolitan police spokesperson Emilian Kayima. File photo. KAMPALA–Police have denied raiding the offices housing the Citizens Coalition for Electoral Democracy (CCEDU) in Nsambya, saying a private security firm disarmed the guard on duty. The CCEDU coordinator Crispy Kaheru in a tweet yesterday said their offices were on Tuesday morning at 2:25 am raided by armed men. “Our @cceduganda offices in Nsambya were raided by thugs last night! They beat up the guard and took off with his gun. We are yet to assess the level of damage caused,”Kaheru said. However, police spokesperson Emilian Kayima said: “There was no raid at CEDU offices located in the Kabalagala policing area,” Kayima said. He said managers of SGA, the security company whose guard claimed was attacked, informed the police that they were on routine check and found the guard dead drunk, compelling them to withdraw the gun which they have in their possession. According to the police mouthpiece, CCEDU offices were found intact and nothing had been taken as had been earlier reported. “The guard is called Ronald Kyebambe. He is on the run according to what his supervisors told our officers at Kabalagala police division. His weapon is with the supervisors. We would like to advise those hiring services of private guards to always employ not less than two, occasionally have them inspected, working with the area police,” Kayima said. He said it is not wise to deploy one guard as compromise or attack would easily be accomplished.